Do you have a portfolio of premium domain names and would like maximum exposure? We want to hear from you. If you are looking to sell or lease your portfolio of domains then please get in touch about our service. 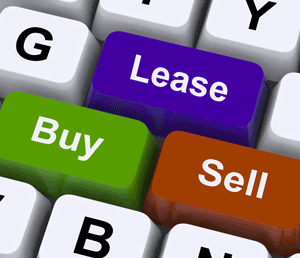 Domain name leasing is a viable option for portfolio owners. It can often provide a long term income stream whilst retaining your investment. We will make the leasing process as simple and transparent as possible for all our clients. We are happy to list domains for sale only. With over 15 years experience in the domain name market Domains.co.uk is the UK’s leading domain leasing service. Trust is important to us and our clients. Some of the largest portfolio owners in the UK rely on Domains.co.uk. Our contracts offer watertight security for both the domain owner and the licensee. Our proactive and integrated marketing channels, offer you the best possible chance of finding a long-term quality licensee for your premium domain name. We lease to all kinds of businesses including, restaurants, retail and social networking. Whatever your domain names, we are confident we can find you a suitable licensee candidate. If you would like to learn the level of potential revenue you could earn from your portfolio, you can send us your list for analysis. Please note that we only feature what we deem to be premium domain names and we cannot guarantee your domain names will receive interest.